Authentic, back-to-nature retreat which rejuvenates weary bodies, minds and souls. 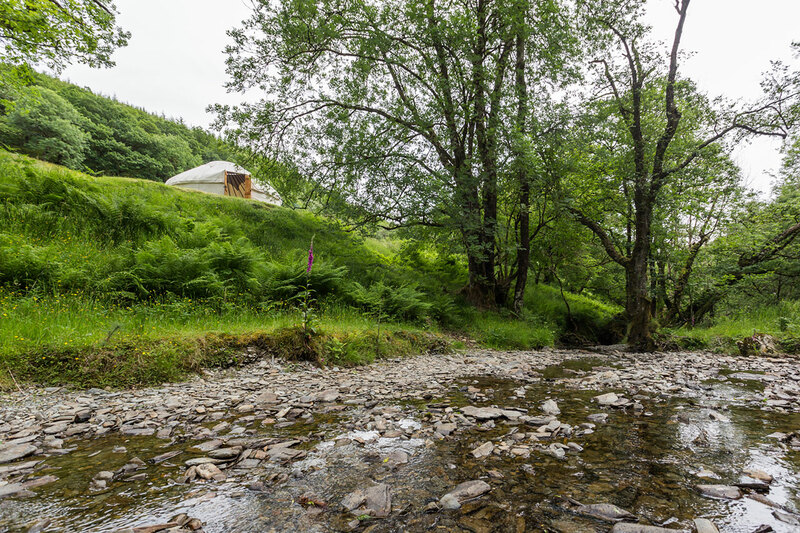 Our beautiful yurts secluded in a hidden valley offer everything you love about the idea of glamping but with a unique peace and seclusion hard to find at other glampsites. Amazing walks with beautiful views, sparkling river with secret splash pools, ancient forest and a host of activities for the whole family within 30-60 minutes drive. Many guests fall in love with the forest and return year after year to rediscover their favourite spots and breathe again. “Wild glamping” at its best. 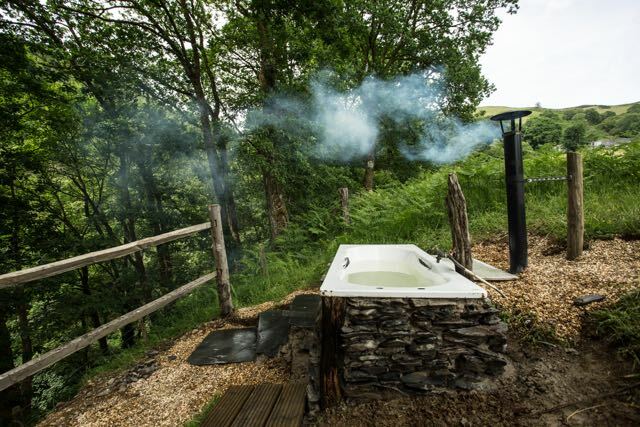 Unwind with early morning birdsong, hot baths at sunset, shared meals cooked on open-air campfires and starry night skies far away from the city lights. The chance to escape to a place of such serenity and calm was just what was needed, quite literally uplifting for a battered soul!  Everything was so well thought through in the information provided, you... clearly care deeply which shows through the way you operate. I have returned home ready to face challenges head on, knowing there is always somewhere to retreat to. With much love & gratitude. No way to fit it all in here. This place is stunning. Lots of space, the small number of sites are tactically located to ensure privacy. Each site is well appointed, but you still feel in touch with the wild surroundings. The views are so beautiful, with plenty of trails to hike. WOW – what a place! 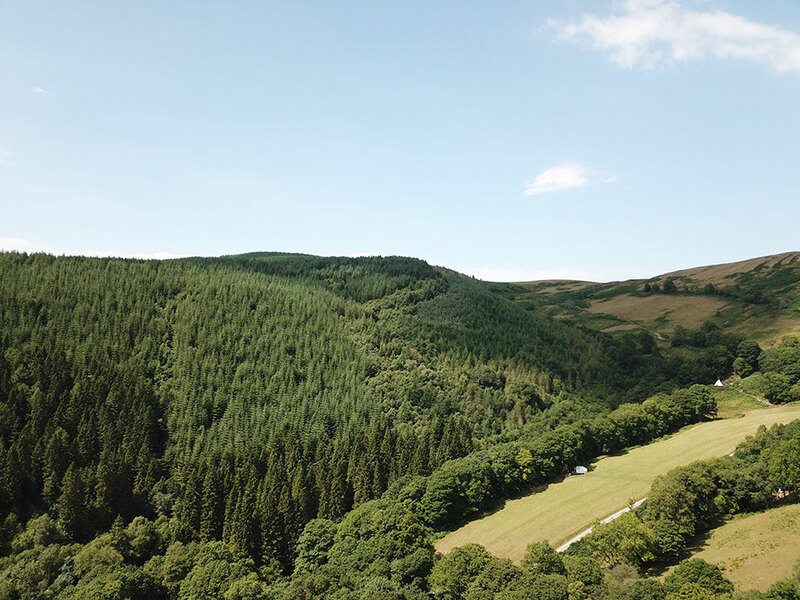 We’ve had the most wonderful time here – the outdoor bath, the view, the well stocked tipi, the shower and the loo. 10/10 from us – thank you! We’ll be back! We opened the door to our tipi in the morning and watched the trees sway in the wind from the bed – I wish I could have this kind of a morning every day! First time here with the kids (3rd as a couple). We’ve had the most perfect stay and we wish it was longer. We explored, paddled, threw stones, built towers, heard owls, saw bats, osprey and a toad. Also caught a trout. Outdoor baths, campfires, marshmallows, cards … I could go on. It was wonderful to spend time as a family without electronics. PS – We will be back. A really novel experience, each of us appreciating the tranquility. Even the toddler took time to absorb the silence. 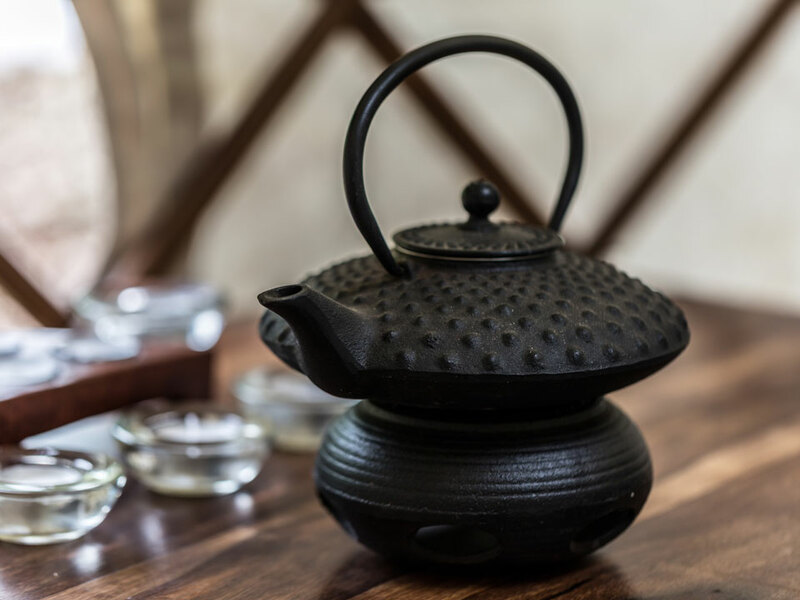 Our riverside teahouse area offers the opportunity to savour an organic herbal tea as you read, journal or engage with other guests, owners and volunteers should you choose to. The conscious living resource centre offers a wide range of inspirational books covering eco-living, yoga, meditation, natural health and much more, which can be enjoyed in the teahouse or in the comfort of your own living space. Our discussions stimulate the mind and uplift the soul as we consciously co-create the world we want to live in. Discover more of who you are and what drives you. Give your soul an opportunity to reset and start consciously designing the life you want to live. Delve further into a state of blissful relaxation, re-discover your authentic self and find inspiration to realise your future life goals with private or group meditation and conscious living workshops. Release your built up stress and treat yourself with some self-care through the massage sessions we have available. Eco Retreats can also be booked for group workshops if you want to try your hand at organising a unique escape for your friends, your company or your coaching clients.